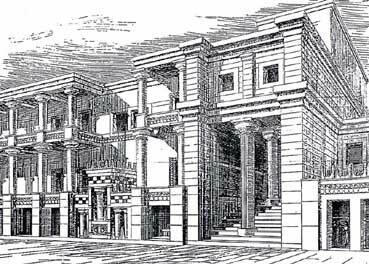 Reconstruction of part of the palace at Knossos. Most of the details are conjectural and reflect the ideas of the original excavator, Sir Arthur Evans. But the overall impression must be close to reality.